Reducing waste and pollutants, conserving natural resources and recycling materials. Controlling energy consumption and reducing emissions of greenhouse gases. The Walor Group is committed to promoting any technology that can reduce pollutant emissions and limit the impact of its products and plant operations on the environment. Proof of respect for the environment, wild species continue to flourish near production plants, such as this Orchid Ophrys Apifera photographed on the Walor Laval site. In an ever more demanding industrial world, the daily investment of each employee in improving our performance is essential. One of Walor Group’s four strategic planks is to develop a leading supplier position for our customers. 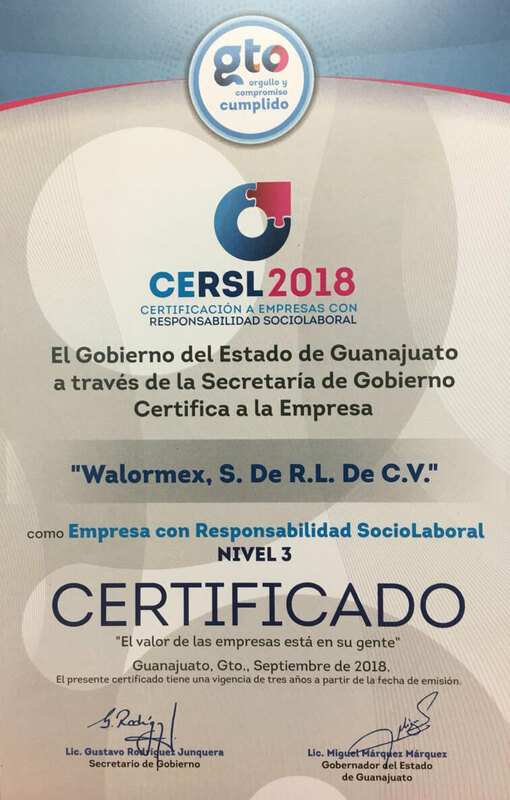 The Walor group therefore focuses on the development of its quality culture and sustainable lean; and on the promotion of team work and the optimization of personnel skills management, respecting the group’s code of ethics. The changes in the group, the requirements of our customers as well as the new guidelines in terms of Corporate Social Responsibility and sustainable development have been taken into account for the development of the Code of Ethics. These elements allow managers to demonstrate entrepreneurial spirit and act with the degree of autonomy and responsibility necessary to drive our performance. To achieve its objectives, Walor relies on its Health, Safety and Environment Quality Management System, which was developed in accordance with the IATF 16949 vs 2016, ISO 9001 vs 2015, and ISO 14001 vs 2015 environment standards. In accordance with the requirements applicable to it, the QHSE system is supported by the flawless leadership of the Steering Committee who, as part of their duties, accompany and guide the implementation of the actions, efficiently and effectively. To date, all sites are IATF 16949, ISO 9001 certified. The IATF 16949 benchmark shows and demonstrates to customers that the Walor Group has a quality system adapted to the needs of the automotive sector.